Tom has been a full-time Realtor since 2003 and is proud to be part of the #1 Independent Real Estate firm in Colorado Springs, The Platinum Group, REALTORS! Tom is an Accredited Buyer’s Representative (ABR), Certified Distressed Property Expert (CDPE), and Quality Service Certified QSC. He takes the time to really understand his clients’ needs and goals and works, to educate them as part of the process of finding them a home. His confidence and capability puts his clients at ease. Customer service is his first priority. He enjoys spending time with his clients, often developing long-term friendships with them. Tom graduated from Wayland Baptist University with a Bachelors Degree in Business Administration. He also completed his Master’s Degree in Organizational Management from the University of Phoenix. Tom served in the Air Force as a firefigher for 15 years and a recruiter for ten years, retiring after 20 years of service. He has moved several times so he is an expert in helping people with their relocations! In 1997, Tom moved to Colorado Springs with his beautiful wife Lacene of thirty one years and their two children. He is a community servant as he was the President of the School Board for Fountain Fort Carson District 8, and is currently President of the Chamber of Commerce, sits on the Board for the Economical Developement Committee, and is an Elder of Pikes Peak Christian Church. Lacene, being a long-time resident of the Colorado Springs area loves the city and the people in it. In 1987, Lacene started her career in banking, where she managed a small branch in England. For the next 18 years she worked in the Financial Industry, as a Teller, Credit Counselor, Account Executive, Supervisor, Manager and Investment Representative where she excelled at helping people to realize their financial goals. 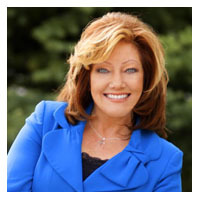 In 2004, Lacene made the transition to being a Realtor, where she utilized her expertise in business, sales and communication to help her clients fulfill their home-owning dreams. Putting her clients needs above her own, Lacene is known for her professionalism and integrity. Navigating through the home-buying process can be very difficult and overwhelming, and Lacene will gladly do that for you. The Downing’s believe strongly in giving back and are actively involved in their community though ministry. 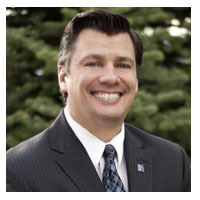 Tom teaches FPU (Financial Peace University), is a Board Member of the Fountain Valley Scholars, and is an elected official. Lacene is also a Board Member of the Fountain Valley Scholars, the President of the Board for the Michael Downing Scholarship , and counsels with people who are experiencing profound grief from the loss of a loved one. You can rest assured, knowing that the purchase or sale of your home is being taken care of by “The Downing Group”, who epitomizes integrity, energy, hard work and creative service in every detail of your real estate transaction. Whether you are a first-time home-buyer, a military family being relocated, an investor, or simply wanting to buy a new home, The Downing Group will go above and beyond, being a fierce advocate for you and exceeding your expectations.